Bring insects into your classroom! Please see below for information on our free entomology units which include Next Generation Science Standard (NGSS) aligned lesson plans. These inquiry-based lessons feature LIVE insects and include many extensions to help you effectively integrate entomological and biological concepts into your teaching. 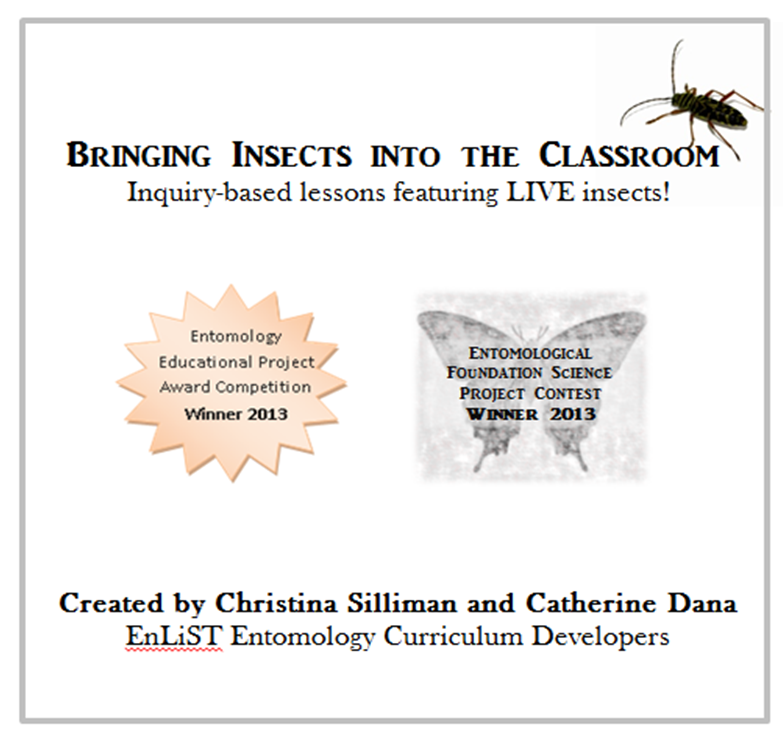 The fourth grade lessons were developed by entomology graduate students Christina Silliman and Catherine Dana. Tara Bell and Tara McGill developed the second grade lessons. Please email chansium [at] gmail.com or cdana2 [at] llinois.edu for the password. We’d love to hear from you about your experiences, advice, or if you want more resources. We would be happy to facilitate LIVE insects in your classroom, and we are open for presentations and workshops. Please check back again soon for more information on checking out lesson resource kits. Please email us if you’re interested! University of Illinois School of Integrative Biology Enhancement Fund ($317) to present “Bringing Insects into the Classroom: An Interactive Lesson in Entomology” at the annual Environmental Education Association of Illinois conference.